Getting the turkey ready will be easier than ever with the King Cooker 30 Quart Aluminum Turkey Pot Package. 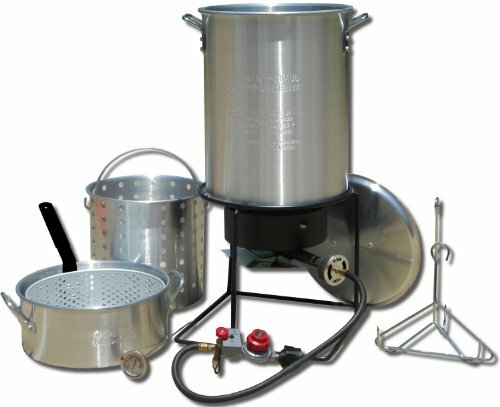 This package includes a 30 quart aluminum pot with a lid, spigot, lifting hook and rack. With its heavy-duty design and size, you can cook up to a 20-pound turkey with ease. The pot’s spigot makes draining oil simple, saving you time and effort during your cleanup. 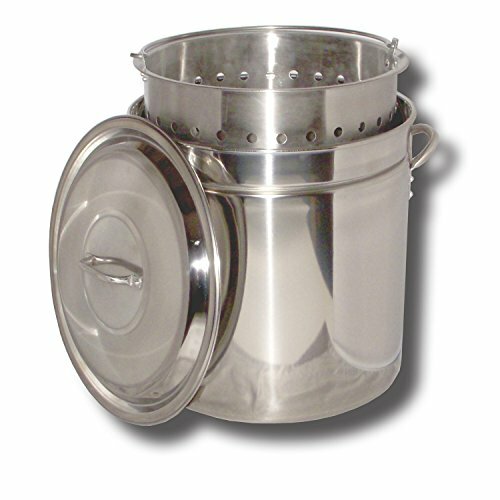 Aluminum boiling pot with drain spigot, lid & basket. Sizes: 100 qt. / 120 qt. / 160 qt. Boil all your favorites in large quantities! Remove easily from the pot with the strainer basket. Easy draining of liquid and cleanup with the lever handled valve. Let's you eat like a King! 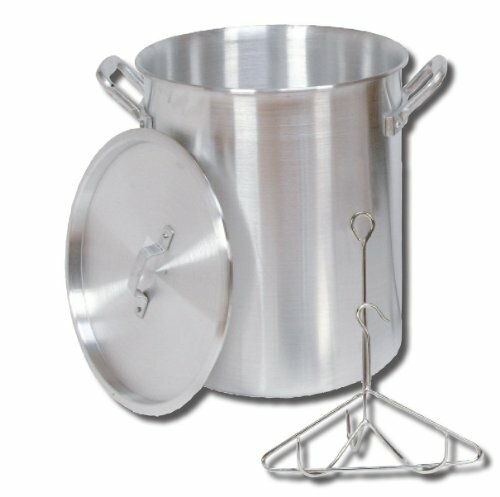 Getting the turkey ready will be easier than ever with the King Kooker 30 quart aluminum turkey pot package. 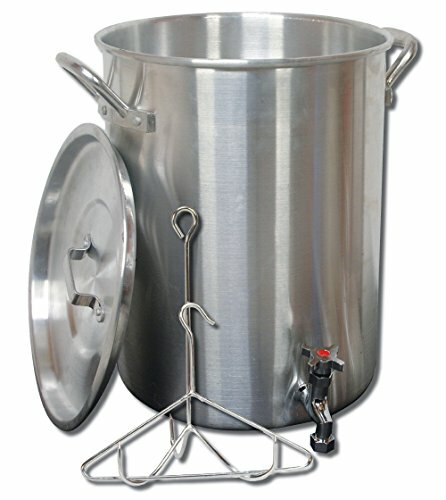 This package includes a 30 quart aluminum pot with a lid, lifting hook and rack. With its heavy-duty design and size, you can cook up to a 20-pound turkey with ease. Boiling and steaming seafood, tamales, veggies is better than ever, and nobody does it like the King Kooker. We have pots to cook up any size feast. Cook large quantities of food with this 36 qt. 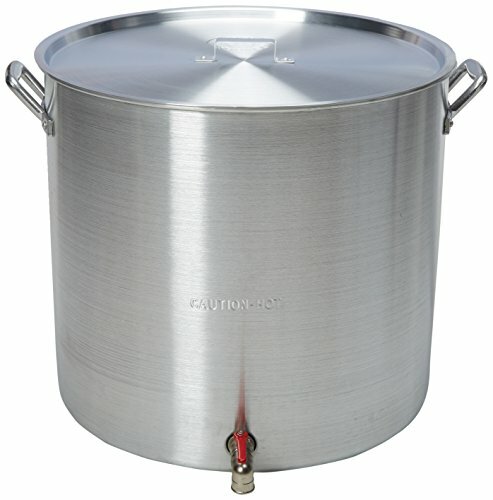 stainless steel stock pot with steam rim. Cook great and clean up easy. 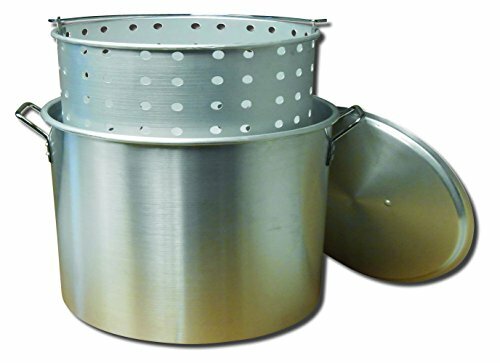 Our stainless steel boiling pots feature quality construction and include punched stainless steel baskets and lids. King Kooker lets you eat like a king. Pick your favorites: shrimp, crawfish, crabs, lobsters. This boiling pot cooks them all--and possibly all at once. A recessed lid seals in moisture for tender seafood, poultry, veggies, and more. A punched aluminum basket makes it easy to transport prepped foods to and from the pot. 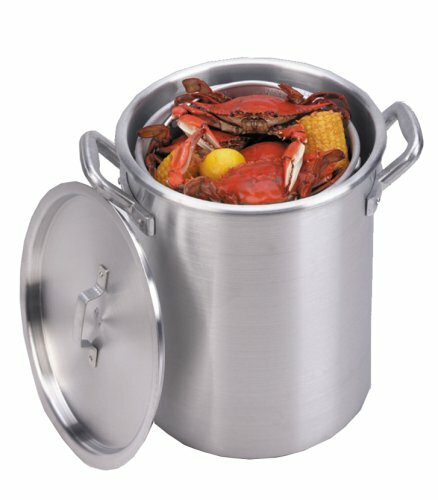 Made from heavy duty aluminum for extra corrosion resistance and reliability, this King Kooker boiling pot is also equipped with sturdy side handles that ensure easy maneuvering. The punched aluminum basket is equipped with a heavy duty lift ring that'll stand up to years of use. How many do you need to feed? 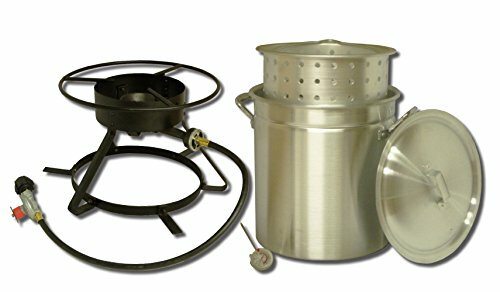 King Kooker offers outdoor pots and cookers to cook up any size feast. Backed by a limited one-year manufacturer warranty, the purchase is as much a cooking school as it is a cooking product. The King Kooker instruction/recipe booklet includes assembly instructions, use and care tips, and applicable tips for deep fried turkey, injecting techniques, as well as recipes that can be used with a King Kooker's wide variety of pots and cook sets, such as preparation steps for boiled, steamed and blackened seafood, Dutch Oven Jambalaya, fried chicken, onion rings, mushrooms, wings, and more. Size: 5.36" H x 18.06" Dx 18.06\"
Want more King Kooker Pot similar ideas? Try to explore these searches: Burner Roaster, Ladies Cotton Slips, and Tiffany Single Light Table Lamp.